CBD Tinctures are our most accessible product. Perfect for long time CBD users and those new to CBD, our 1000mg tinctures are a more powerful alternative to our 500mg tinctures. With higher dosages for greater medicinal needs, this bottle contains 1000mg of CBD per 15mL bottle. 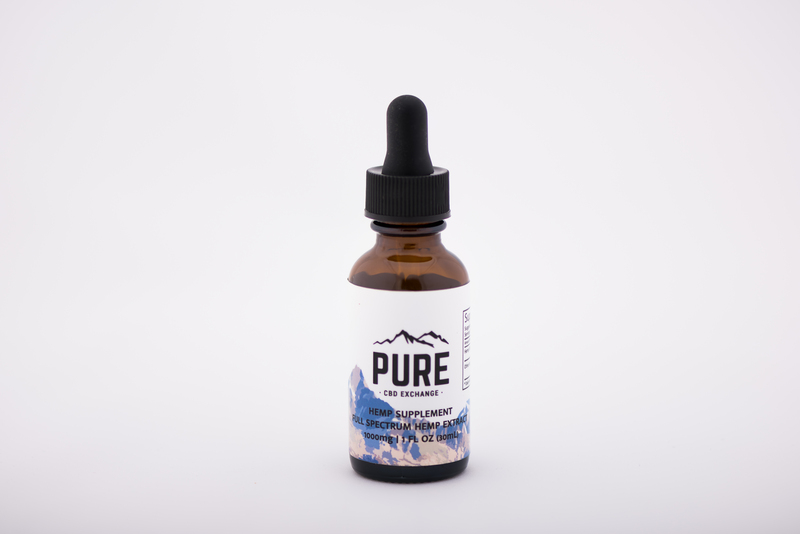 Included in the bottle is a 1mL dropper with 67mg of CBD per dropper. The recommended serving size is about half of a dropper, roughly 33mg of CBD. CBD Tinctures are our most accessible product. Perfect for long time CBD users and those new to CBD, our 1000mg tinctures are a more powerful alternative to our 500mg tinctures. With higher dosages for greater medicinal needs, this bottle contains 1000mg of CBD per 30mL bottle. Included in the bottle is a 1mL dropper with 33mg of CBD per dropper. The recommended serving size is about half of a dropper, roughly 33mg of CBD. This tincture comes in two flavor options, either Hempseed Oil with Natural Flavor or MCT with Natural Flavor. Both these tinctures have similar flavors with the primary difference being the carrier oil. Hempseed oil is a natural choice as a carrier oil for any hemp product since it is derived from the hemp plant itself. MCT is also a great choice, as it is derived from coconuts and provides many of the natural fatty oils that help the body process CBD since most cannabinoids are fat-soluble. This product is commonly dropped on the tongue for quick absorption or into a drink, such as coffee or tea.